Looking for Package Deals to Austin - Barton Creek? We have those too! $150 Million dollar renovation! 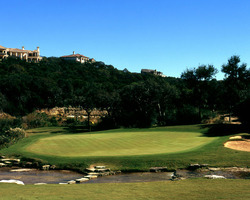 Barton Creek Resort Stay and Play at $279! Come to the capital city, and experience what a $150 million dollar renovation looks and feels like! 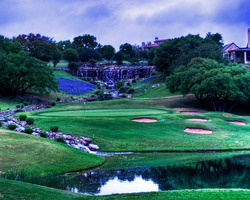 The Barton Creek Golf Resort and Spa re-opens on May 23rd, 2019! We've put together the ultimate stay and play package - from June 1st through August 31st, stay in luxury at the #1 golf resort in Texas, and play all 4 of Barton Creek's tracks for only $279 per person, per day, all in! After an extensive $150+ million renovation and expansion, Omni Barton Creek Resort & Spa relaunches in May 2019 as a luxurious, relaxed retreat embodying the spirit and beauty of its home in Austin’s Hill Country. Reservations are now available starting May 23, 2019. 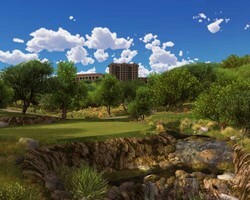 From June 1st through August 31st, 2019, come to Austin and stay at the world famous newly renovated Omni Barton Creek Resort, while playing all 4 courses! Package price is based on double occupancy. Minimum 2 night stay & extra nights are available. Some holiday/special event dates are blacked out, call for more details. $279 per person, per day all in (includes resort fees) - valid 7 days a week! Contact our Austin/Barton Creek Specialist for first-hand knowledge of the area & package details or to get a customized trip itinerary! Located in the heart of Texas, Austin / Barton Creek is a dynamic urban center bursting with accommodations, restaurants, and the best golf in Texas. The self-described Live Music Capital of the World boasts a vibrant music and arts community and a wealth of entertainment venues and related attractions. In addition to numerous entertainment districts within the city, visitors can take in live performances at the University of Texas at Austin's Performing Arts Center, Frank Erwin Center and Mary Moody Northern Theatre at St. Edward's University.